Polish artist Rafał Olbiński has been busy negotiating the look for a mermaid in a poster commissioned by Warsaw’s city hall for Miss World 2006. 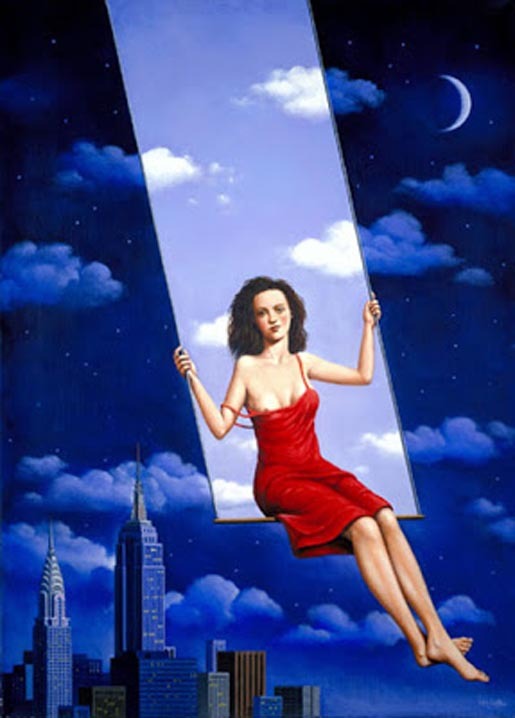 Olbinski’s original work portrayed a mermaid swinging on a trapeze, wearing a red top that only covered one breast. After concerns were raised about the tone of the poster, Olbinski obliged by adding a white scarf. 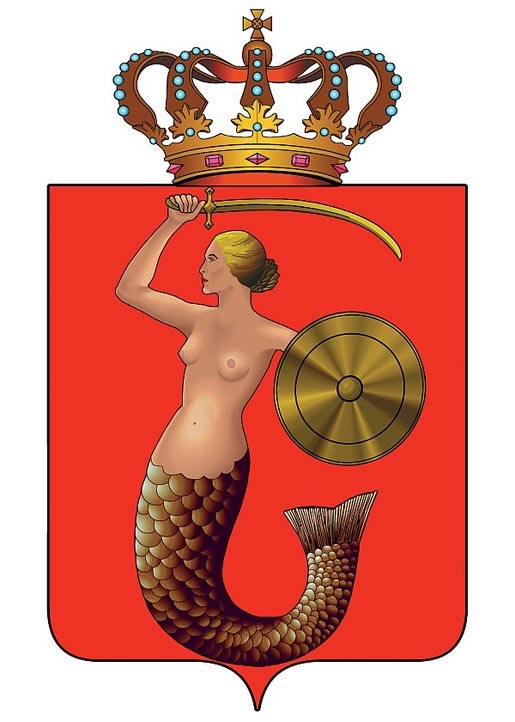 Warsaw’s crest features a mermaid naked from the waist up. 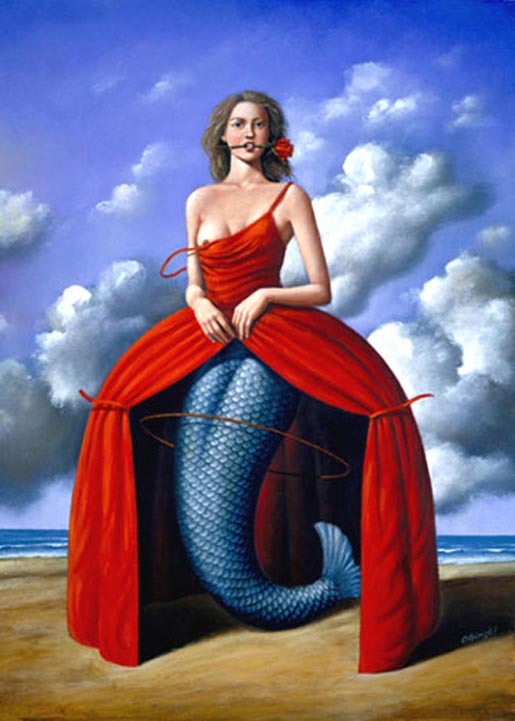 The mermaid figure has clearly made an impression on Olbinski’s work. The first two paintings are acrylic and oil on canvas, titled “Desperately Looking for Something Original” and “Contribution to Memorable Context”.